TORONTO, ON – Bandit Brewery has announced the release of a new limited edition beer that was a year in the making. The brewing process began just over a year ago, with a fairly standard mash that involved a wide array of malts to give the beer its deep amber/ red colour. The beer is fermented not only with the use of Saccharomyces, but also with an addition of other wild yeasts such as Brettanomyces, Pediococcus, and Lactobacillus, which provides the beer with its very distinct sourness. The beer comes from two separate batches that were aged in oak Cabernet barrels for 6 to 12 months. 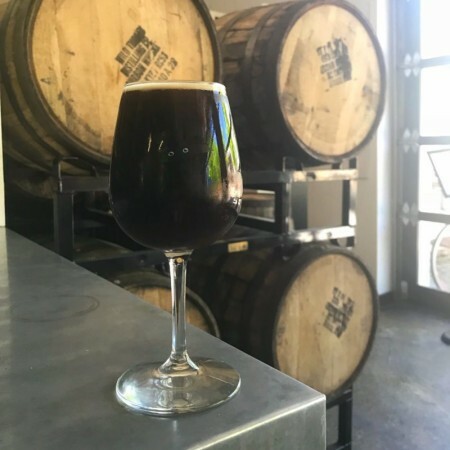 The end result is a blend of three different barrel aged Flanders, some of it comes from a secret “special” and older barrel that adds a layer of “wine vinegar” complexity, and a bit of “fresh” Flanders to smooth out the sourness of the final product. Le DUC is available now in the Bandit taproom and bottle shop while supplies last.